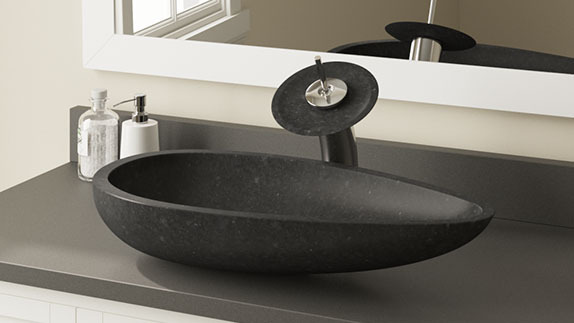 Rock solid in every way, MR Direct stone bathroom sinks are as natural as one can get. Their creation begins where you would expect - in a quarry. 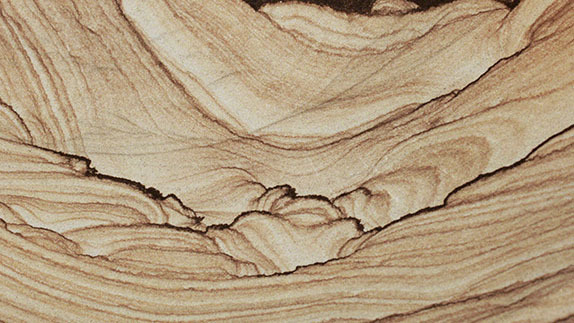 A block of stone is first cut to a size slightly larger than the desired finished product; then the chiseling begins. Once a bowl shape is achieved, a drain hole is cut. The finer work of hand-polishing is the final step and continues until the stone is transformed into a smooth, symmetrical basin. 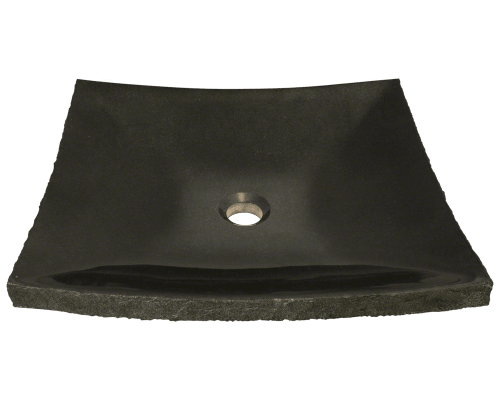 Each MR Direct stone sink is truly a one-of-a-kind, because it is excavated from the earth, not manufactured in a factory. 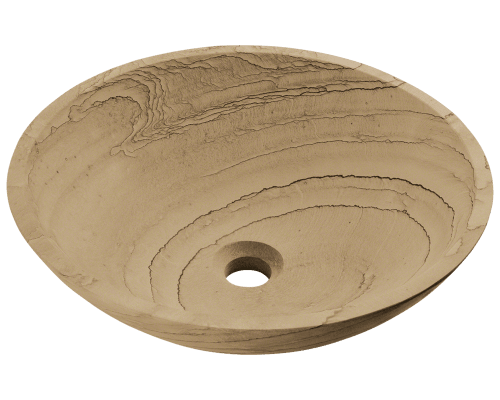 Stone vessel sinks from MR Direct are available in several types of natural rock. 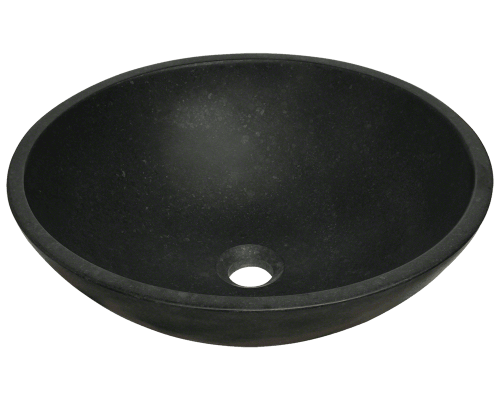 We offer granite bathroom sinks from various sources. 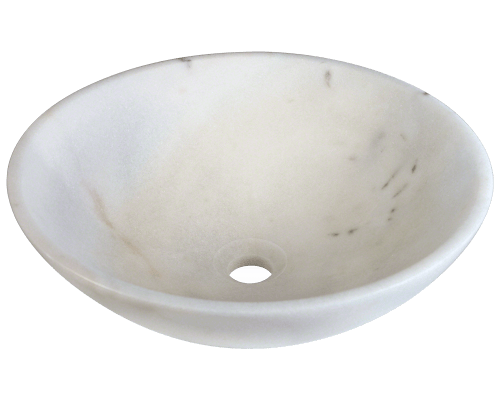 Additionally, there are onyx vanity sinks, marble bathroom vessel sinks, sandstone lavatory sinks, and even limestone sinks. All are designed as vessels to be mounted upon the vanity. With their natural weight and density, they are stable and noise is minimal. Their finish can be satiny smooth, extremely high-gloss, or a combination or both with even some raw stone left exposed. 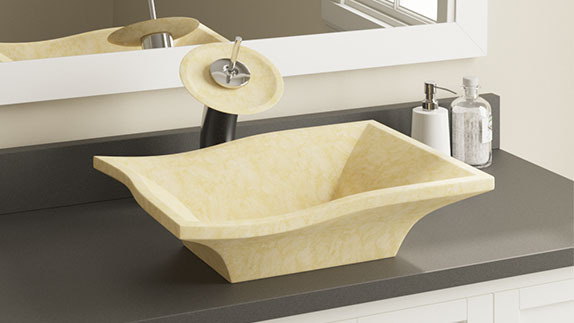 The perfect complement to every MR Direct stone bathroom vessel sink is our matching stone waterfall faucet. Because acids and abrasives in many standard cleaning solvents could etch the finish, MR Direct strongly recommends using specially formulated stone cleaners, soap scum removers, and polishes. 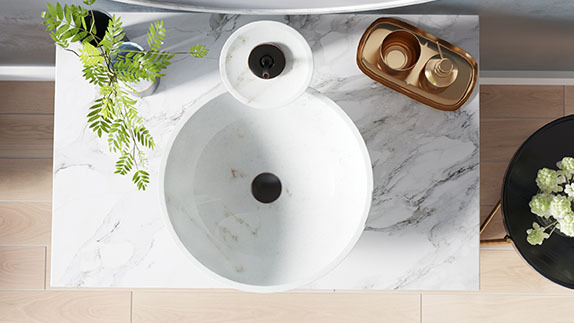 Stone vanity sinks are generally resistant to staining, but marble, onyx and sandstone are a bit more porous than granite. The routine use of a stone cleaner is usually sufficient. However, if a blemish develops, a stone soap scum remover is appropriate. And, to keep the bowl glistening like new, a stone polish should be applied every few months.